If you itemize, you can usually deduct the interest you pay on a mortgage for your main home or a second home, but there are some restrictions. What counts as mortgage interest? Is my house a home? Who gets to take the deduction? Is there a limit to the amount I can deduct? What if my situation is special? What types of loans get the deduction? What kind of records do I need? If the loan is not a secured debt on your home, it is considered a personal loan, and the interest you pay usually isn’t deductible. Your home mortgage must be secured by your main home or a second home. You can’t deduct interest on a mortgage for a third home, a fourth home, etc. For the IRS, a home can be a house, condominium, cooperative, mobile home, boat, recreational vehicle or similar property that has sleeping, cooking and toilet facilities. You do, if you are the primary borrower, you are legally obligated to pay the debt and you actually make the payments. If you are married and both you and your spouse sign for the loan, then both of you are primary borrowers. If you pay your son’s or daughter’s mortgage to help them out, however, you cannot deduct the interest unless you co-signed the loan. Yes, your deduction is generally limited if all mortgages used to buy, construct, or improve your first home (and second home if applicable) total more than $1 million ($500,000 if you use married filing separately status). You can also generally deduct interest on home equity debt of up to $100,000 ($50,000 if you’re married and file separately) regardless of how you use the loan proceeds. For details, see IRS Publication 936: Home Mortgage Interest Deduction. Here are a few special situations you may encounter. If you have a second home that you rent out for part of the year, you must use it for more than 14 days or more than 10 percent of the number of days you rented it out at fair market value (whichever number of days is larger) for the home to be considered a second home for tax purposes. If you use the home you rent out for fewer than the required number of days, your home is considered a rental property, not a second home. You may treat a different home as your second home each tax year, provided each home meets the qualifications noted above. If you live in a house before your purchase becomes final, any payments you make for that period of time are considered rent. You cannot deduct those payments as interest, even if the settlement papers label them as interest. If you used the proceeds of a home loan for business purposes, enter that interest on Schedule C if you are a sole proprietor, and on Schedule E if used to purchase rental property. The interest is attributed to the activity for which the loan proceeds were used. If you own rental property and borrow against it to buy a home, the interest does not qualify as mortgage interest because the loan is not secured by the home itself. Interest paid on that loan can’t be deducted as a rental expense either, because the funds were not used for the rental property. The interest expense is actually considered personal interest, which is no longer deductible. If you used the proceeds of a home mortgage to purchase or “carry” securities that produce tax-exempt income (municipal bonds) , or to purchase single-premium (lump-sum) life insurance or annuity contracts, you cannot deduct the mortgage interest. (The term “to carry” means you have borrowed the money to substantially replace other funds used to buy the tax-free investments or insurance.). What kind of loans get the deduction? If all your mortgages fit one or more of the following categories, you can generally deduct all of the interest you paid during the year. Mortgages you took out on your main home and/or a second home on or before October 13, 1987 (called “grandfathered” debt, because these are mortgages that existed before the current tax rules for mortgage interest took effect). Mortgages you took out after October 13, 1987 to buy, build or improve your main home and/or second home (called acquisition debt) that totaled $1 million or less throughout the year ($500,000 if you are married and filing separately from your spouse). Home equity debt you took out after October 13, 1987 on your main home and/or second home that totaled $100,000 or less throughout the year ($50,000 if you are married and filing separately). Interest on such home equity debt is generally deductible regardless of how you use the loan proceeds, including to pay college tuition, credit card debt, or other personal purposes. This assumes the combined balances of acquisition debt and home equity do not exceed the home’s fair market value at the time you take out the home equity debt. If a mortgage does not meet these criteria, your interest deduction may be limited. To figure out how much interest you can deduct and for more details on the rules summarized above, see IRS Publication 936: Home Mortgage Interest Deduction. When you refinance a mortgage that was treated as acquisition debt, the balance of the new mortgage is also treated as acquisition debt up to the balance of the old mortgage. The excess over the old mortgage balance is treated as home equity debt. Interest on up to $100,000 of that excess debt may be deductible under the rules for home equity debt. Also, you can deduct the points you pay to get the new loan over the life of the loan, assuming all of the new loan balance qualifies as either acquisition debt or home equity debt of up to $100,000. That means you can deduct 1/30th of the points each year if it’s a 30-year mortgage—that’s $33 a year for each $1,000 of points you paid. In the year you pay off the loan—because you sell the house or refinance again—you get to deduct all the points not yet deducted, unless you refinance with the same lender. In that case, you add the points paid on the latest deal to the leftovers from the previous refinancing and deduct the expense on a pro-rated basis over the life of the new loan. Copies of Form 1098: Mortgage Interest Statement. Form 1098 is the statement your lender sends you to let you know how much mortgage interest you paid during the year and, if you purchased your home in the current year, any deductible points you paid. Your closing statement from a refinancing that shows the points you paid, if any, to refinance the loan on your property. The name, Social Security number and address of the person you bought your home from, if you pay your mortgage interest to that person, as well as the amount of interest (including any points) you paid for the year. Your federal tax return from last year, if you refinanced your mortgage last year or earlier, and if you’re deducting the eligible portion of your interest over the life of your mortgage. Buying a home is when you begin building equity in an investment instead of paying rent. And Uncle Sam is there to help ease the pain of high mortgage payments. The tax deductions now available to you as a homeowner will reduce your tax bill substantially. For most people, the biggest tax break from owning a home comes from deducting mortgage interest. You can deduct interest on up to $1 million of debt used to acquire or improve your home. Your lender will send you Form 1098 in January listing the mortgage interest you paid during the previous year. That is the amount you deduct on Schedule A. Be sure the 1098 includes any interest you paid from the date you closed on the home to the end of that month. This amount is listed on your settlement sheet for the home purchase. You can deduct it even if the lender does not include it on the 1098. If you are in the 25 percent tax bracket, deducting the interest basically means Uncle Sam is paying 25 percent of it for you. When you buy a house, you may have to pay “points” to the lender in order to get your mortgage. This charge is usually expressed as a percentage of the loan amount. If the loan is secured by your home and the amount of points you pay is typical for your area, the points are deductible as interest as long as the cash you paid at closing via your down payment equals the points. For example, if you paid two points (2%) on a $300,000 mortgage—$6,000—you can deduct the points as long as you put at least $6,000 of your own cash into the deal. And believe it or not, you get to deduct the points even if you convinced the seller to pay them for you as part of the deal. The deductible amount should be shown on your 1098 form. You can deduct the local property taxes you pay each year, too. The amount may be shown on a form you receive from your lender, if you pay your taxes through an escrow account. If you pay them directly to the municipality, though, check your records or your checkbook registry. In the year you purchased your residence, you probably reimbursed the seller for real estate taxes he or she had prepaid for time you actually owned the home. If so, that amount will be shown on your settlement sheet. Include this amount in your real estate tax deduction. Note that you can’t deduct payments into your escrow account as real estate taxes. Your deposits are simply money put aside to cover future tax payments. You can deduct only the actual real estate tax amounts paid out of the account during the year. Buyers who make a down payment of less than 20 percent of a home’s cost usually get stuck paying premiums for Mortgage Insurance, which is an extra fee that protects the lender if the borrower fails to repay the loan. For mortgages issued in 2007 or after, home buyers can deduct premiums. As a further incentive to homebuyers, the normal 10 percent penalty for pre-age 59½ withdrawals from traditional IRAs does not apply to first-time home buyers who break into their IRAs to come up with the down payment. This exception to the 10 percent penalty does not apply to withdrawals from 401(k) plans. At any age you can withdraw up to $10,000 penalty-free from your IRA to help buy or build a first home for yourself, your spouse, your kids, your grandchildren or even your parents. However, the $10,000 limit is a lifetime cap, not an annual one. (If you are married, you and your spouse each have access to $10,000 of IRA money penalty-free.) To qualify, the money must be used to buy or build a first home within 120 days of the time it’s withdrawn. But get this: You don’t really have to be a first-time homebuyer to qualify. You’re considered a first-timer as long as you haven’t owned a home for two years. Sounds great, but there’s a serious downside. Although the 10 percent penalty is waived, the money would still be taxed in your top bracket (except to the extent it was attributable to nondeductible contributions). That means as much as 40 percent or more of the $10,000 could go to federal and state tax collectors rather than toward a down payment. So you should tap your IRA for a down payment only if it is absolutely necessary. There’s a Roth IRA corollary to this rule, too. The way the rules work make the Roth IRA a great way to save for a first home. First of all, you can always withdraw your contributions to a Roth IRA tax-free (and usually penalty-free) at any time for any purpose. And once the account has been open for at least five years, you can also withdraw up to $10,000 of earnings for a qualifying first home purchase without any tax or penalty. Save receipts and records for all improvements you make to your home, such as landscaping, storm windows, fences, a new energy-efficient furnace and any additions. You can’t deduct these expenses now, but when you sell your home the cost of the improvements is added to the purchase price of your home to determine the cost basis in your home for tax purposes. Although most home-sale profit is now tax-free, it’s possible for the IRS to demand part of your profit when you sell. Keeping track of your basis will help limit the potential tax bill. Some energy-saving home improvements to your principal residence can earn you an additional tax break in the form of an energy tax credit worth up to $500. A tax credit is more valuable than a tax deduction because a credit reduces your tax bill dollar-for-dollar. You can get a credit for up to 10 percent of the cost of qualifying energy-efficient skylights, outside doors and windows, insulation systems, and roofs, as well as qualifying central air conditioners, heat pumps, furnaces, water heaters, and water boilers. There is a completely separate credit equal to 30 percent of the cost of more expensive and exotic energy-efficient equipment, including qualifying solar-powered generators and water heaters. In most cases there is no dollar cap on this credit. Another major benefit of owning a home is that the tax law allows you to shelter a large amount of profit from tax if certain conditions are met. If you are single and you owned and lived in the house for at least two of the five years before the sale, then up to $250,000 of profit is tax-free. If you’re married and file a joint return, up to $500,000 of the profit is tax-free if one spouse (or both) owned the house as a primary home for two of the five years before the sale, and both spouses lived there for two of the five years before the sale. You can use this exclusion more than once. In fact, you can use it every time you sell a primary home, as long as you owned and lived in it for two of the five years leading up to the sale and have not used the exclusion for another home in the last two years. If your profit exceeds the $250,000/$500,000 limit, the excess is reported as a capital gain on Schedule D.
In certain cases, you can treat part or all of your profit as tax-free even if you don’t pass the two-out-of-five-year tests. A partial exclusion is available if you sell your home “early” because of a change of employment, a change of health, or because of other unforeseen circumstances, such as a divorce or multiple births from a single pregnancy. A partial exclusion means you get part of the $250,000/$500,000 exclusion. If you qualify under one of the exceptions and have lived in the house for one of the five years before the sale, for example, you can exclude up to $125,000 of profit if you’re single or $250,000 if you’re married—50 percent of the exclusion of those who meet the two-out-of-five-year test. When you build up enough equity in your home, you may want to borrow against it to finance an addition, buy a car or help pay your child’s college tuition. As a general rule you can deduct interest on up to $100,000 of home-equity debt as mortgage interest, no matter how you use the money. If your new home will increase the size of your mortgage interest deduction or make you an itemizer for the first time, you don’t have to wait until you file your tax return to see the savings. You can start collecting the savings right away by adjusting your federal income tax withholding at work, which will boost your take-home pay. Get a W-4 form and its instructions from your employer or go to www.irs.gov. Count on TurboTax to help you get the money-saving deductions available to you as a homeowner. We are proud to announce that due to our remarkable growth in the Real Estate industry, we are opening to a new website very soon. We will be offering functions like ‘Property Search’, ‘Agent Direct Contact’, ‘Current Top Listings’ and many more online services in responsive format which will allow visitors to search properties on mobile devices. 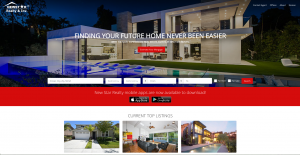 Come visit our new site at www.newstarrealty.com and help us to promote our business online. Thank you.